Doctor Kristi Alexander is locally born and raised in Carmichael. She found her love for the dental profession working in her father’s dental lab for 10 years. She earned a degree in Biological Sciences from Sacramento State University and in 2000 she completed her degree of Doctor of Dental Surgery (DDS) from University of Southern California (USC) School of Dentistry. 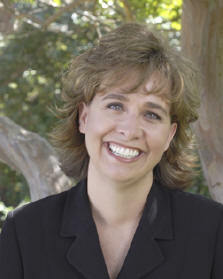 She is a member of The ADA, CDA, and the Sacramento District Dental Society. Sheilah lives in Wilton with her husband and two teenage children. She loves to ride horse and travel in her free time. She has been in the dental profession for 29 years. For the first 10 years she worked as a dental assistant, than she returned to college to become a dental hygienist. She has been practicing dental hygiene for 19 years and is very excited about laser dentistry. She loves that Dr. Alexander is conscientious about providing the best technology and care available for her patients. A California native – Vicky has been married to her husband Dennis since 1984. They have two grown children, two dogs and two cats.They enjoy family time, camping and hanging out together.